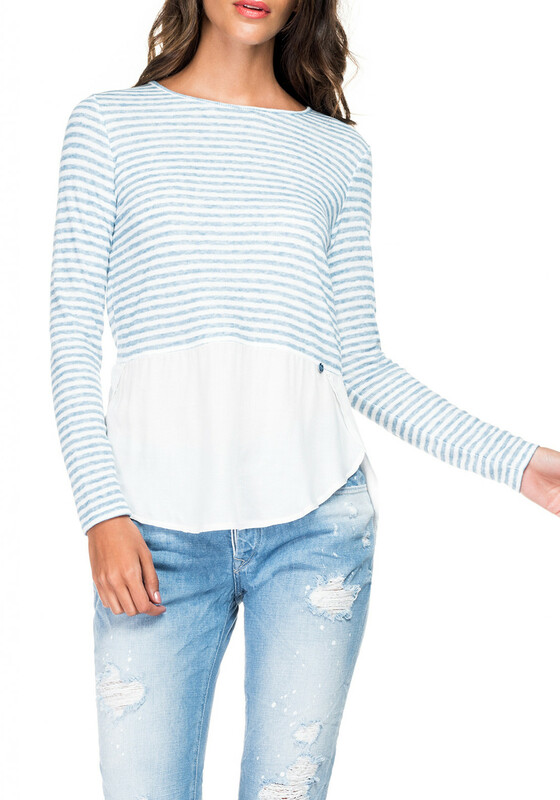 Lighten up your knitwear collection for the new season with this blue and white striped sweater from Salsa. Featured with a contrasting chiffon trim with Salsa hardware. Style with your favorite denims and trainers or canvas shoes.